Guaranteed Asset Protection (GAP) is Loan Deficiency protection designed to eliminate your unpaid net loan balance in the event your vehicle is stolen or damaged beyond repair. 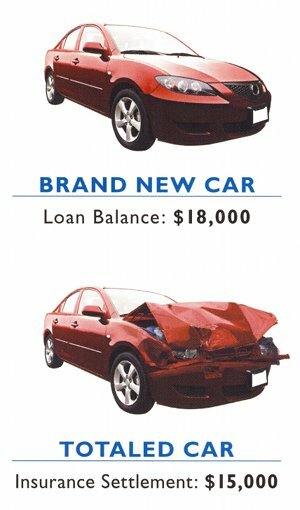 Many people assume that when they lose their vehicle, the insurance company will simply pay off the loan. This is not true. The insurance company will only pay the current value of the vehicle. If this is less than what you owe on your loan (which is not uncommon), you are stuck owing the remaining balance. That’s your “GAP”. It puts you at a disadvantage when replacing your vehicle. “GAP Advantage” from the Credit Union of Vermont is typically Better than the Dealer because in addition to costing so much less, it pays up to $1,000 of your insurance deductible and it will pay you an additional $1,000 towards the purchase of a replacement vehicle if you finance it through the credit union. 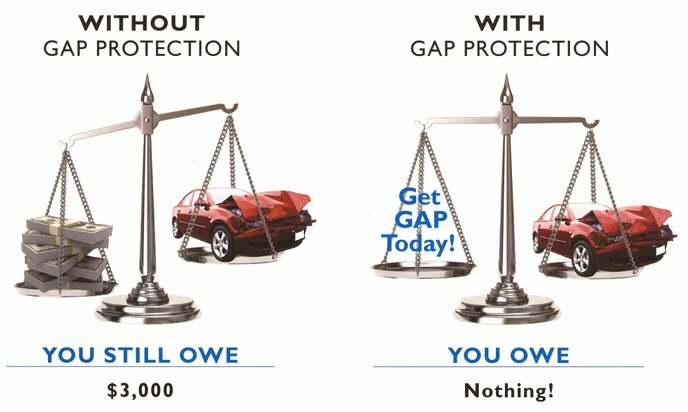 While a car dealer typically charges $600 or more for GAP coverage, our GAP Advantage costs only $299 for superior protection! Don’t pay a car dealer hundreds of dollars more for inferior protection! Remember, with GAP coverage from the Credit Union of Vermont, you’ll be protected. Should you lose your vehicle through an accident or theft, GAP Advantage will cover the net loan balance after insurance settlement AND pay you an additional $1000 towards the purchase of a new vehicle if you finance it through the Credit Union of Vermont. This protection is available for both new and used vehicles. Did the dealer already sell you GAP coverage? It may also be possible for you to get a full or partial refund of that EXPENSIVE Dealer GAP coverage, and to replace it with our superior, yet lower cost protection. Ask us! Get a quote right now by clicking here or contact a loan specialist at (802) 773-0027.